Nintendo will be providing 5,000 Nintendo 3DS consoles to the famous French art museum The Louvre. The Nintendo 3DS consoles will be available to attendees to rent and will be pre-loaded with special itineraries and guided audio-tours in seven languages. The consoles will have special software developed exclusively by Nintendo. how come this is not interesting news? If you were even once to the Louvre, you would know why that isn’t possible. The security is really heavy and they will probably add something to prevent you from stealing it. Just add the same thing that is cloth in shops. Your comment is very relevant to this article, I’m glad you took the time to comment. BIT.TRIP is close enough to art for me. The same way the British museum use modified Ipod touch’s for some of their exhibitions or the last one I was at anyway. Do they count to the total 3DS sales statistics? idk, theres a chance the museum bought the 3ds’, and then quite possibly nintendo donated the 3ds’ so that people would use them, play them, and want them. i feel like if the louvre made this decision they wouldve used something else not as “childish” or like a toy. something more standard and boring. im not hating on 3ds by calling it childish, just that it does have that toy kind of feel and look and features compared to a regular audio tour. Since Nintendo Hotspots aren’t in Europe (I don’t think), I guess this still won’t be a Hotspot. Sickr, I think there is something going on with this site. I keep getting a page with a search engine. ^^^ That’s the page it keeps directing me to. Am I the only one curious about the “Special Nintendo software” He mentioned? The GBA games are up in NA, Sickr! Well, at least this will get gamers that can’t get the Nintendo 3DS to the museum and make it the new hang out. I love my Nintendo 3DS. It’s awesome! This is superb news! 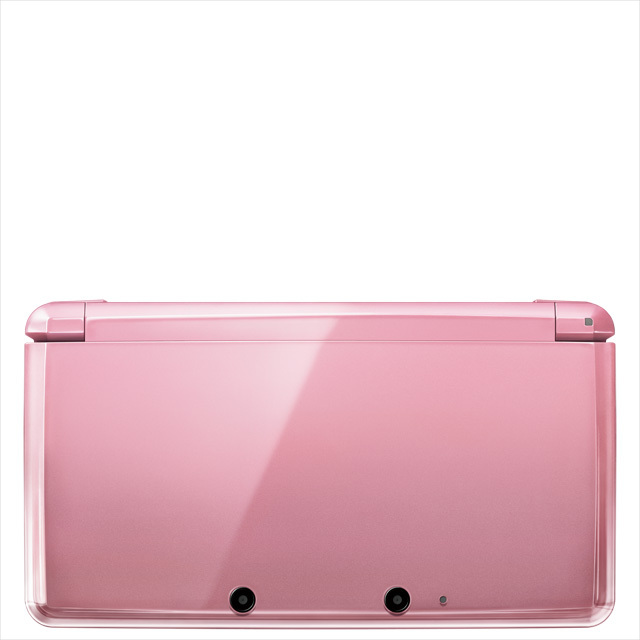 It shows the world is taking the 3DS seriously at last. Then again, knowing how much the specially designed audio tour players cost – the 3DS is a cheap option! Totally off topic but the 10 gba games for ambassadors are up. Didn’t get a notification but when i checked my downloads in the E-Shop they were already there. Downloading them right now. Woot Minish Cap here i come!